Produced in collaboration with Twofold Productions, Windy & friends is the the most ambitious project published by Loud Crow to date. A series of stories told through ten 'appisodes', Windy combines photo-illustration, papercraft, and classical stop-motion animation with touch-interactivity, digital compositing and physics-driven animation. The result is a one-of-kind storybook that blurs the aesthetic of old and new media —each page becoming an interactive diorama, with hidden animations and sounds for young readers to discover. As the art director, I worked closely with the creators Robin Mitchell Cranfield and Judith Steedman, as well as Twofold Productions, to design the interaction for each episode, and manage the animation and interactive development after filming and photography. 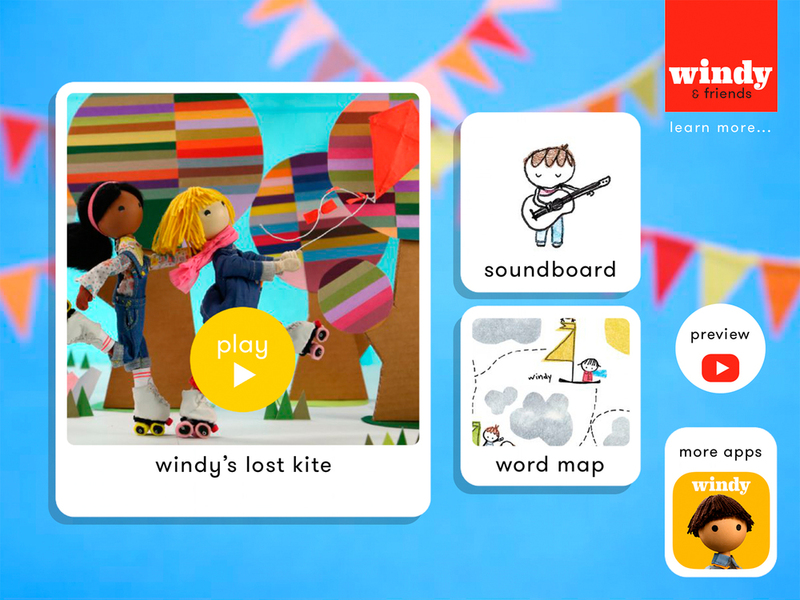 Visit www.windyandfriends.com to learn more about the series.